Srm dental college is dental council of India recognized, NAAC accredited and ISO 9001: 2008 certified Institution. Srm dental college is continuously ranked among the fifteen best dental colleges in India in the annual survey conducted by the outlook magazine for the past 4 years. Srm Dental College offers the courses in BDS Bachelor of Dental Surgery and MDS Master of Dental Surgery with various departments like Orthodontics, Prosthodontics, Conservative dentistry, Oral surgery, Periodontics, Oral pathology, Community dentistry, Oral medicine, Pedodontics. 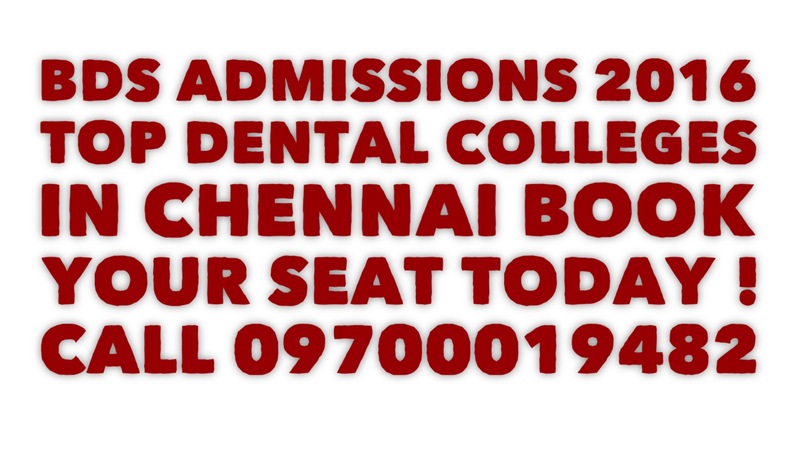 Get Admission in SRM Dental College & Hospital ! Promote your Professional Career in world class Hospitals! 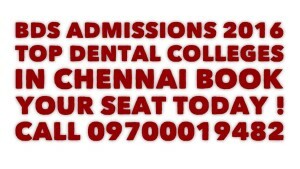 BDS ADMISSIONS IN CHENNAI 2016 REGISTER NOW !